The story of Ann my Guard dates back to 2007. The Hungarian singer Eszter Anna Baumann recorded her first demos. It was not easy for them but the patience, hard work and experimentation of the first years have paid off. 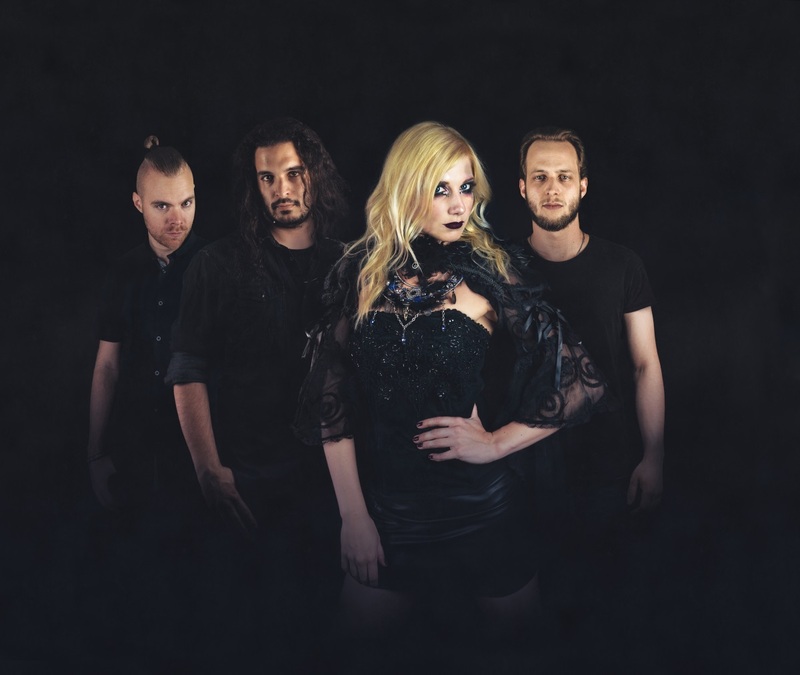 In the following years, several EP’s were released before the debut album “Innocence Descent” followed in 2014, and in 2017 “Ourania”. Meanwhile, the band has a record deal with the Dutch label Painted Bass Records. In October “Moira” was released. The release show for the album was part of the FEMME V in Eindhoven. In the intro “The Descent” you can literally hear the vastness of the Hungarian Puszta. And you get a first impression of Eszter Anna Baumann’s unique voice. But do not worry, “Moira” is not a folk album. For this, the blonde singer already provides the little dark-sounding “Sacred I” itself, with her powerful bass playing. But also, the drums and the guitar really are really rock on, so they put a lot of pressure out of the speakers. Of course, Ann my Guard always process folklore elements of their homeland. Somewhat less dark and a little faster then follows “Mountain II”. Beautiful is the semi-acoustic ballad “Roseblood”. With “Metera” followed by a folkloric interlude with spherical part sounds before again to rock the Hungarians in “Echo” with gloomy midtempo tunes. “The Day I Die” then more elated. The song title would suggest something else here. From “The Raven” Eszter was probably inspired for her stage decorations, black (raven) wings on the microphone stand. This is the second (power) ballad on the album. Here you can also hear the flute playing of the singer. 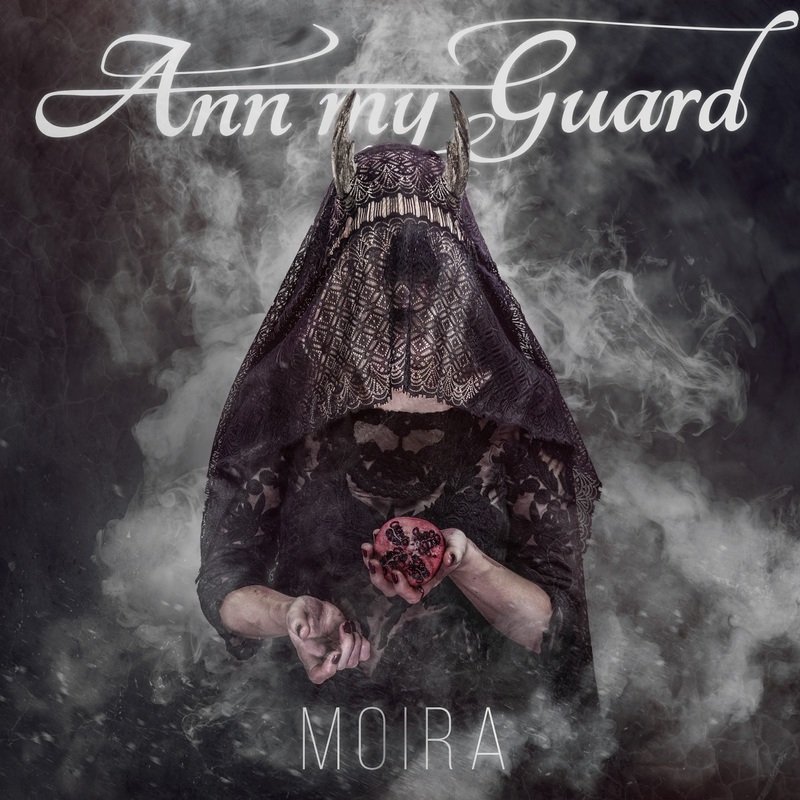 However, the best was Ann my Guard for the end – “Morpheus”, the longest song on the album. At first, the singer is only accompanied by acoustic guitars. Later, the song becomes a great anthem. The Hidden Track at the end then ensures a folkloristic finale. With Ann my Guard, the small Dutch record label Pinted Bass Recods has signed a true rough diamond. For me, the Hungarians are much more than just an insider tip. With Moira, the band has recorded a gem of Dark Metal, Dark Metal, in which genre-overlapping folklore and rock has been incorporated. The band around Eszter Anna Baumann was also able to convince me live, both in their regular show and in the acoustic set. FIFTH ANGEL – The Third Secret Out Now! + New Video Released!